If you love to mix and match where your jewellery is concerned, Vince and its edit of earrings might just catch your eye. Look to this boutique jewellery label for clean lines and fluid shapes that feel inimitably modern. 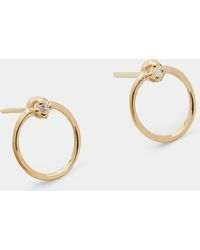 Select from subtle studs with hand-hammered details and single earrings you can pair with other pieces in your jewellery box or across Vince’s distinct offering.